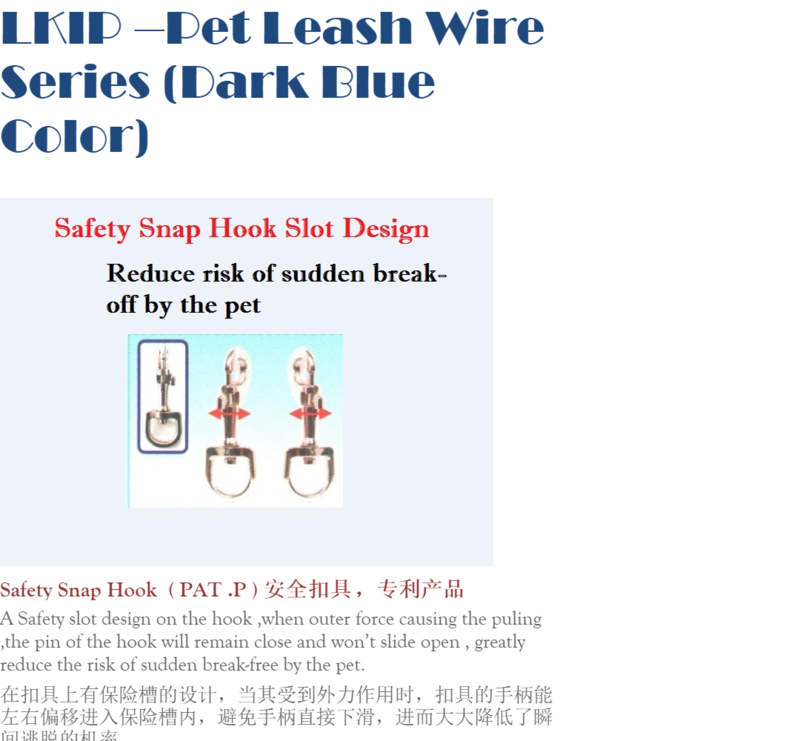 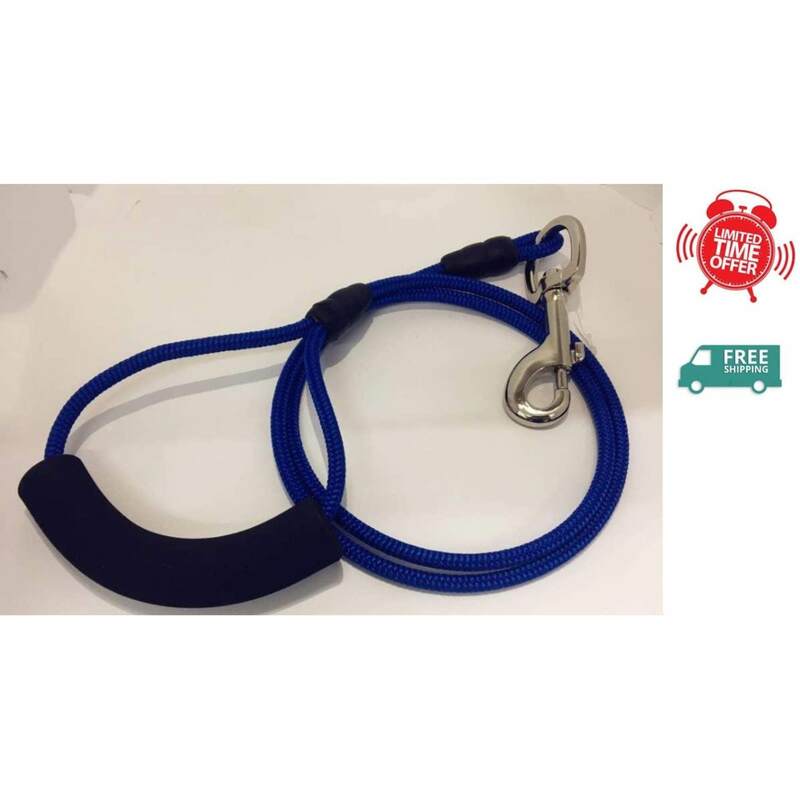 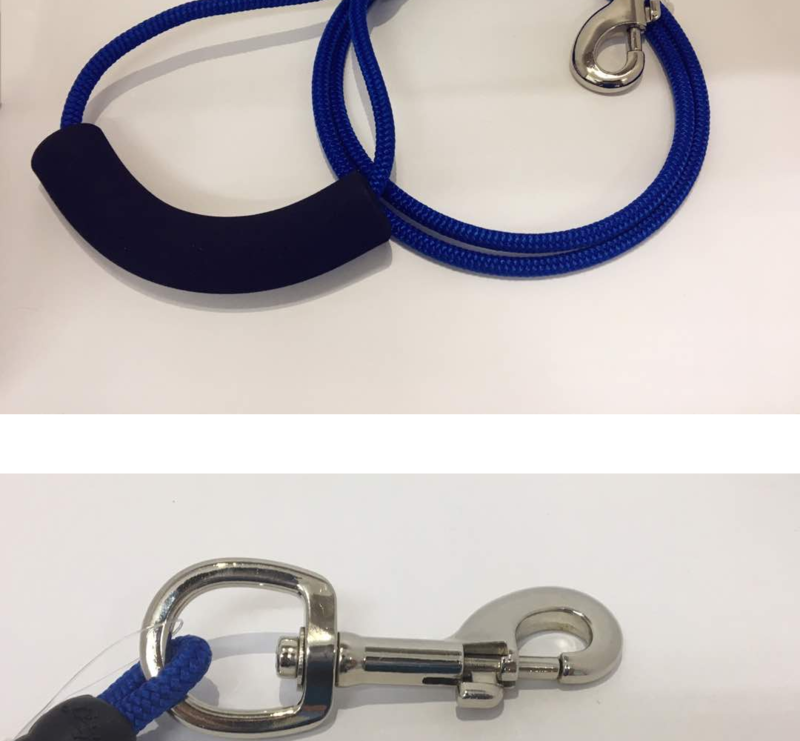 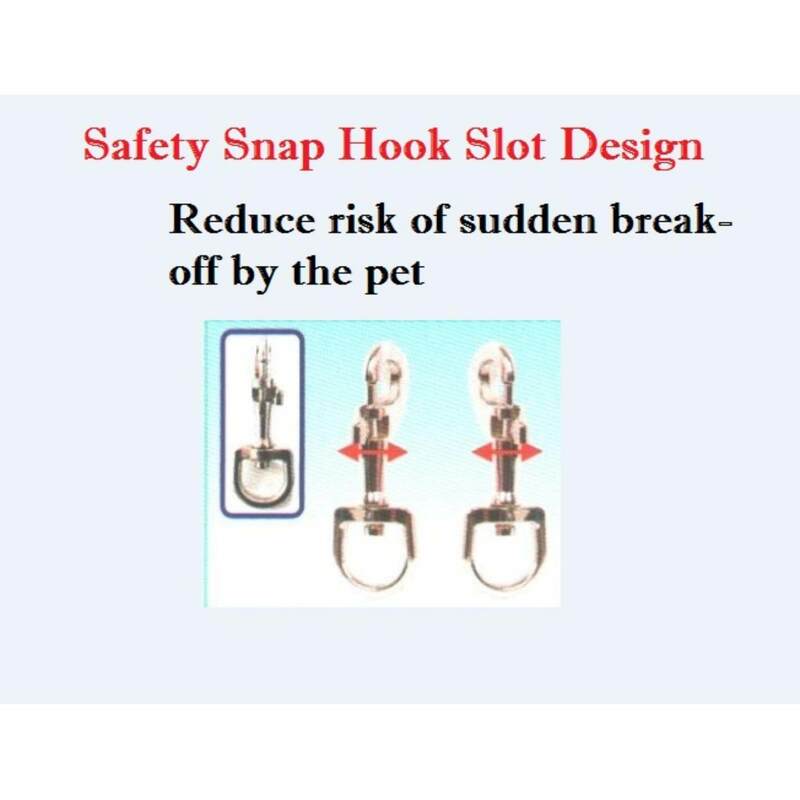 Safety Snap Hook ( PAT .P )-A Safety slot design on the hook ,when outer force causing the puling ,the pin of the hook will remain close and wont slide open , greatly reduce the risk of sudden break-free by the pet. 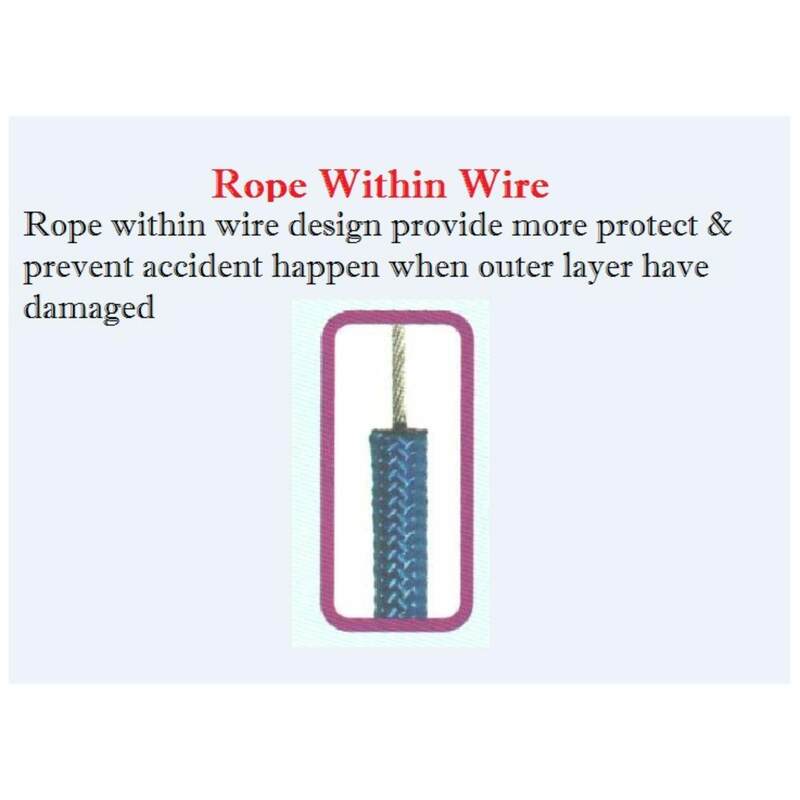 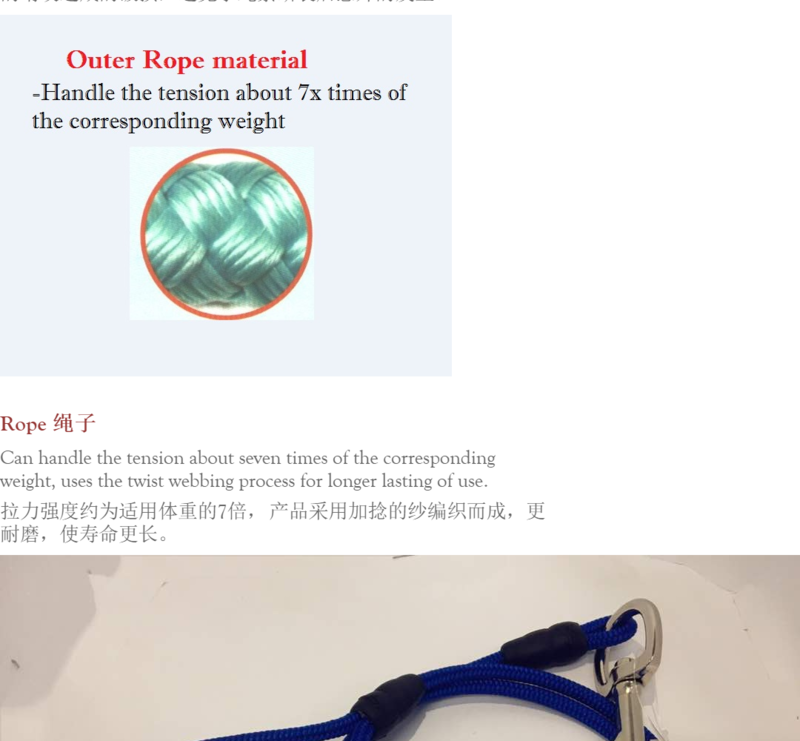 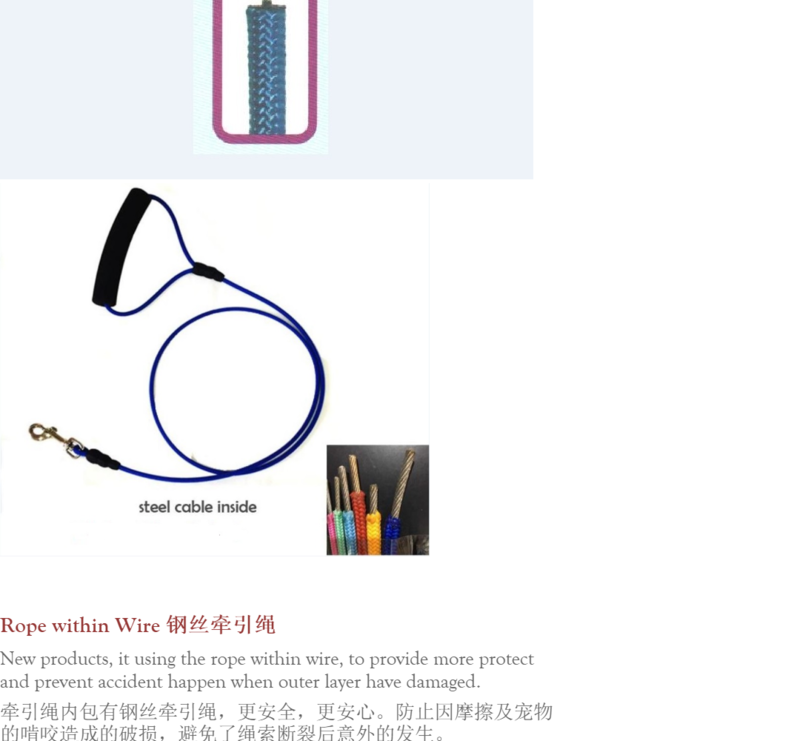 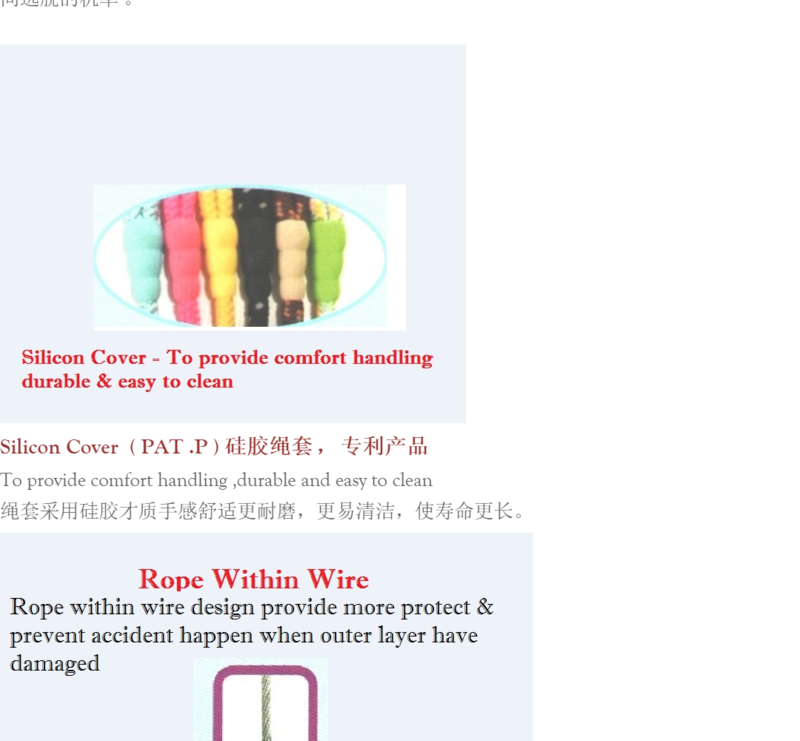 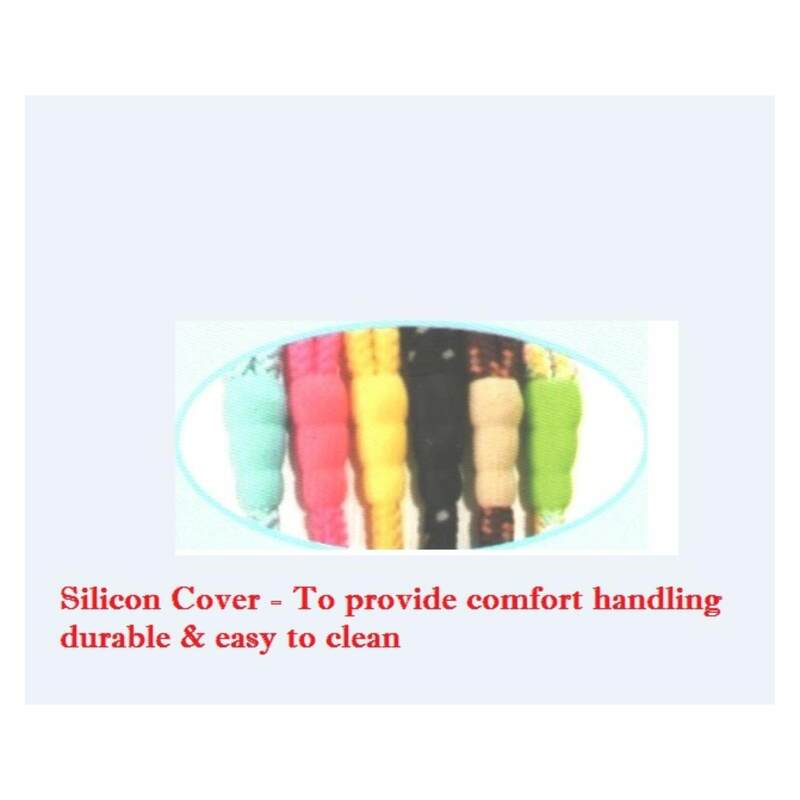 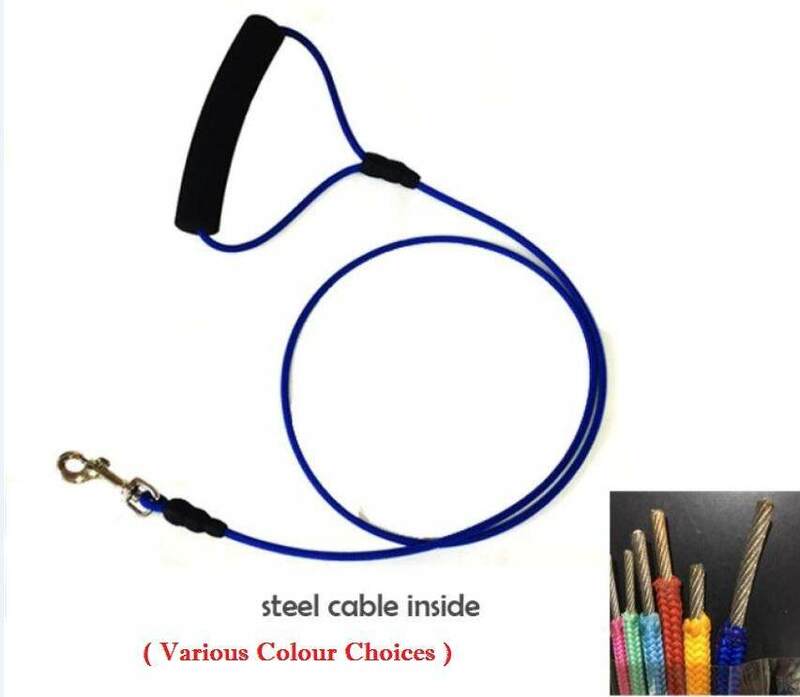 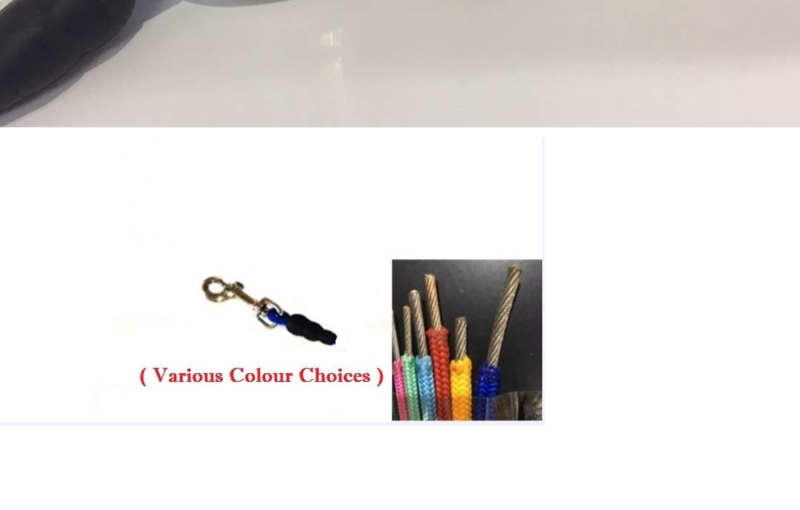 Rope within Wire -New products, it using the rope within wire, to provide more protect and prevent accident happen when outer layer have damaged. 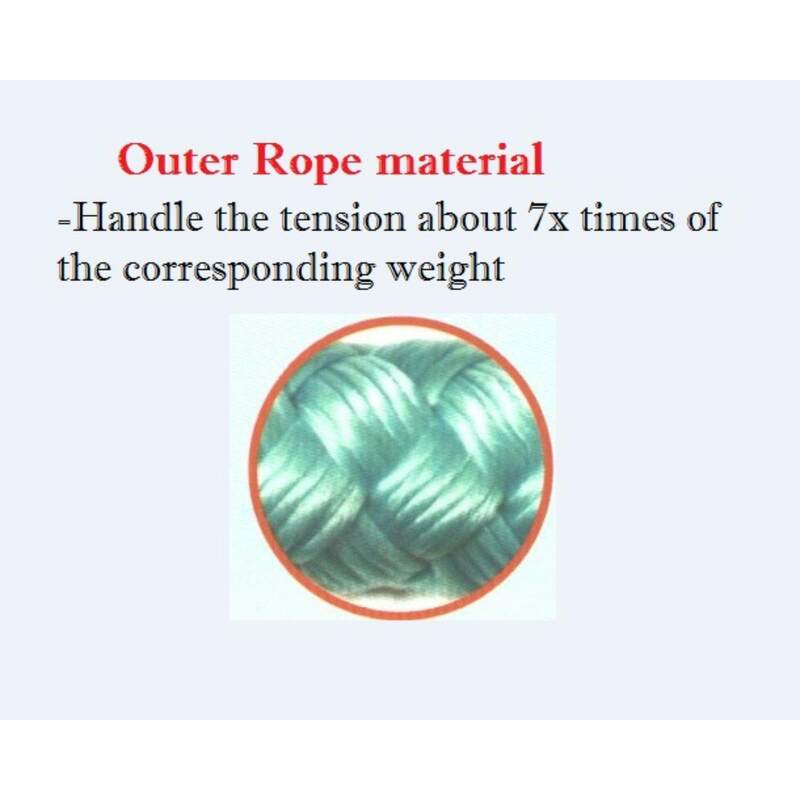 Rope-Can handle the tension about seven times of the corresponding weight, uses the twist webbing process for longer lasting of use.